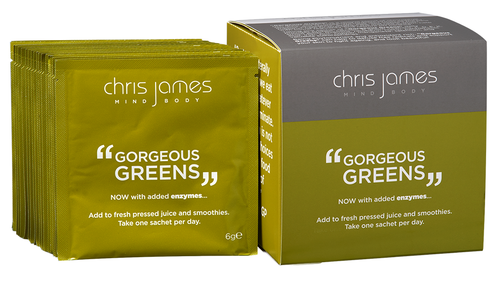 Chris James Mind Body is supporting healthy eating this Christmas with "5 tips to Beat the Bloat" to accompany the launch of daily sachets of its “Gorgeous Greens”. The new formulation now includes extra enzymes, lipase, amylase, papain, and protease, which help to ease digestion and prevent bloating. "I wanted to create a superior Greens supplement for busy healthy men and women. Enzymes are a key health trend as we head into 2017!" says Chris James, Founder of CJMB. "I also wanted to offer some simple steps that will help absolutely everyone to have a healthier Christmas while really enjoying every meal". The 5 tips from Chris include keeping an eye on the "3 P's" - protein, potassium and probiotics (see end of release for all 5 tips). Chris James Mind Body is a premium health & lifestyle brand that offers a 360 degree natural solution to achieving optimum levels of wellness year round. Our product range, including our signature product “12 Days” Cleanse is stocked at Harrods, Liberty London, Space NK, and Wholefoods. 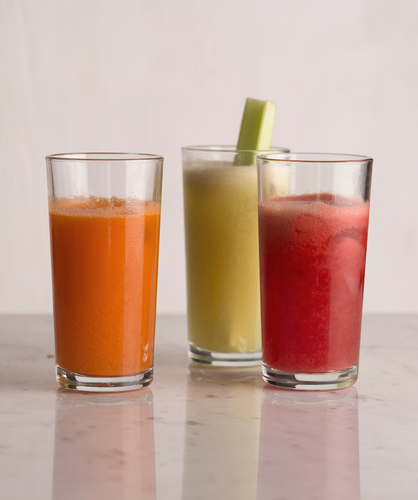 We deliver Mind Body Cleanse™ workshops and master classes internationally. Our Clean Break retreats are well known and exclusive.